Programming with OWL is error-prone due to the lack of type-safe integration into programming languages. While generic types such as Resource can represent anything the data can model, they make it impossible to error-check programs. Mapping ontological concepts into types of the programming language on the other hand often cannot capture the ontology completely and duplicates knowledge that a semantic reasoner already has. 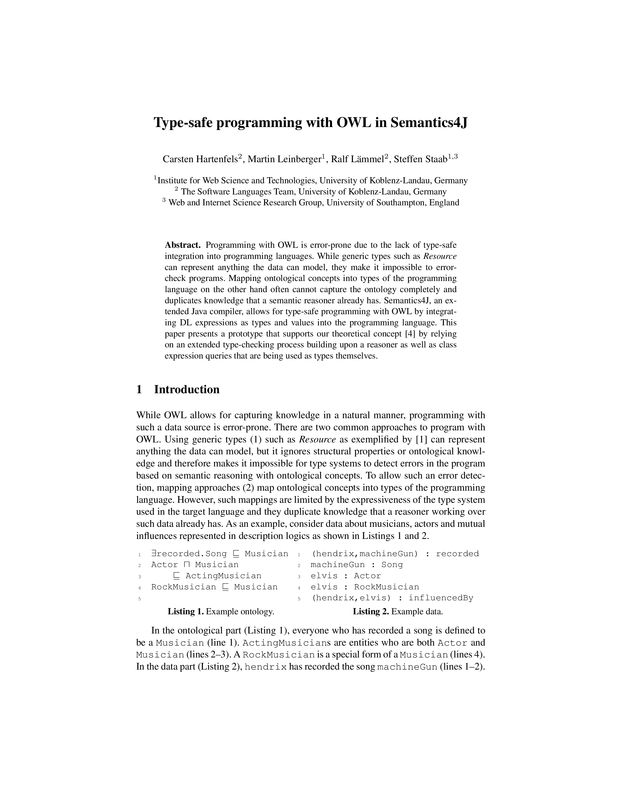 Semantics4J, an extended Java compiler, allows for type-safe programming with OWL by integrating DL expressions as types and values into the programming language. 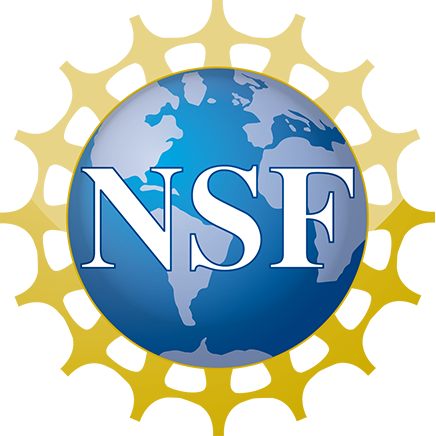 This paper presents a prototype that supports our theoretical concept by relying on an extended type-checking process building upon a reasoner as well as class expression queries that are being used as types themselves.